I was thinking about my friend who spent 30% of her income on subscriptions, and I wanted to share a method to dramatically cut down on unneeded subscriptions that you currently pay for. Subscriptions are a business’s best friend: They let companies make a reliable, predictable income off of you — with no action on your part. Without doing anything, you invisibly pay money each month. There’s a convenience to this, of course — I set up as many automatic subscriptions as possible — but there’s a significant cost: When was the last time you scrutinized your monthly subscription and canceled one? Probably never. Yet compare this to any recent time you went shopping. When was the last time you saw something you liked, but decided not to buy it? In the above paragraph — read it again! — is the key to cutting your spending on subscription items. I’ll show you how. The A La Carte Method takes advantage of psychology to cut our own spending. As Richard Thaler, a professor at the University of Chicago, illustrates in his excellent book, Nudge, we are much more likely to do things when no involvement is necessary. The A La Carte Method works for three reasons. 1. You’re probably overpaying already. Most of us dramatically overestimate how much value we get from subscriptions. For example, if I asked you how many times a week you go to the gym, chances are you’d say, “Oh…2 or 3 times a week.” That’s BS. In fact, in one remarkable study of three health clubs, two researchers from Stanford and Berkeley showed that gym members overestimate how much they’ll use their gym membership by over 70%. In fact, members who chose a monthly fee of ~$70 attended an average of 4.3 times per month. That comes out to over $17/visit — when in reality they could have bought a pay-as-you-go pass for $10. Because these people are overly optimistic about how often they’ll use the gym, they lose over $700 over the lifetime of their membership. BAD MOVE. 2. The Method forces you to be conscious about your spending. The second reason that the A La Carte Method works is that it forces you to be conscious about your spending (like my friend who spends $21,000/year going out). It’s one thing to passively look at your credit-card bill and say, “Ah, yes, I remember that cable bill. Looks like a valid charge. Tallyho!” It’s quite another to spend $1.99 each time you want to buy a TV show — and when you actively think about each charge, you will cut consumption. As one of my mentors, Stanford professor BJ Fogg, wrote in his book Persuasive Technology, tracking is one of the most effective persuasive methods. 3. You value what you pay for. The third reason it works: You will value whatever you’re buying if you’re actively spending out of your pocket, rather than an invisible subscription. The big downside is that this method requires you to un-automate your life, which is the price you pay for saving money. I encourage you to use this if you find yourself short of cash and wondering why you can’t save more money each month. Or give it a shot for 2 months and see how it feels. If you don’t like it, go back to your old subscription method. It can’t hurt. 3. Cancel the subscriptions and begin the A La Carte Method. 4. In exactly 1 month, check and calculate how much you spent over the last month. That’s the descriptive method. 5. Now, get prescriptive. If you spent $100, try to cut it down to $90. Then $75. Not too low — you want your spending to be sustainable — but in this step, you can control exactly how many movies you rent or how many magazines you buy, since each one comes out of your pocket. Remember, this isn’t about depriving yourself. The minute your personal-finance infrastructure becomes oppressive is the minute you stop using it. The ideal situation is that you realize you were spending $50/month in subscriptions on stuff you didn’t really want — and you’ll consciously reallocate that money into something you love, whether it’s the gym, travel, or investing. [Update]: Here’s a detailed writeup on implementing the A La Carte Method. * * *The point of this article is to challenge the assumption that “subscriptions always save you money.” If you liked this, you may want to check out my takes on why we’re all hypocrites about our $28,000 weddings and why I bought a new (not used) car. Thoughtful advice as always, Ramit. – I consciously stuck with Netflix because it saves me on late fees (which were not always under my control) and theater movies. – I love magazines, but I got my subscription costs down to zero by getting free trade magazines and using a few of my frequent flyer miles (Delta) to get other magazines. 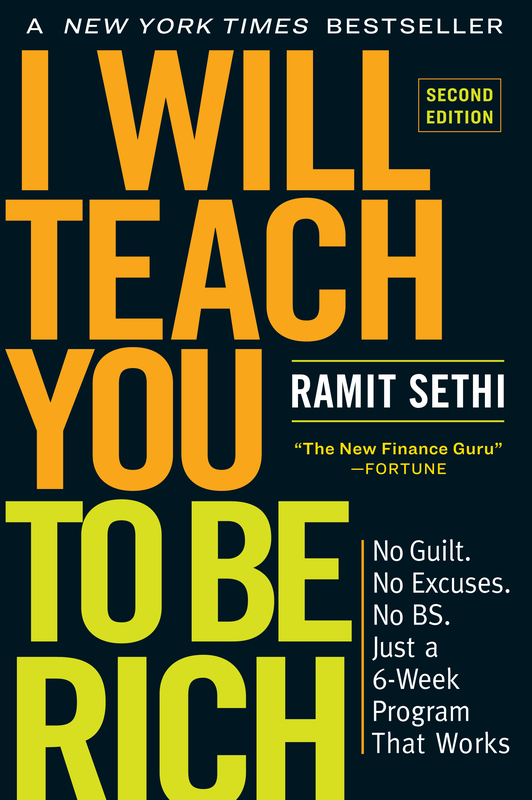 Ramit-Interesting concept. I think the key is to think deeply on each expense. Do you actually use it? What parts do you use? How often? I don’t think I’ll abandon the time savings of automating my expenses as time is too valuable. The key is to eliminate or reduce unnecessary or excessive expenses where you can. Take a gym membership for example. My family had a membership to Lifetime Fitness. We liked the amenities like the pool and the rock wall. My son and I used the racquetball courts at least 3 times a week, but we used the other amenities very little. The one other thing we used was the pool, but we have one in our neighborhood. We analyzed our usage and made a change. The main use we had for the gym was racquetball. We shifted to LA Fitness, and my son and I got individual memberships. By doing so we saved $100 per month and improved our experience (LA Fitness has 6 courts while Lifetime Fitness has 2). We’ll be making the same evaluation with our cable/internet/phone service. What is the best deal (overall) that delivers the services we use? I never type “LOL” because I doubt people really “LOL”ed every time they use that acronym, but I seriously almost spit out my green tea latte when I read that. We don’t have many subscription services, but I think we might be able to cut back on NetFlix (go with a smaller plan). We don’t have TIVO or cable, and I’m BAD at returning movies on time, so I can’t let go of my NetFlix all together. I also might try a pay-as-you-go phone. I have tons of unused minutes every month, and I’m on the lowest plan they offer. We are going to get a subscription to Bon Appetit magazine for $1 an issue because we keep buying it at the stand for $4 an issue, which is just dumb. We use the heck out of that magazine, though. Not an issue goes by that we don’t cook from. I unconsciously did a similar thing when I moved across the country last year. When we were leaving the DC area, we killed every subscription we had – Netflix, magazines, newspapers and gym memberships. @April: I doubt most people drink “green tea latte’s” … LOL. LOL. good advise, but, as long as you’re honest with yourself, I think subscriptions are largely still the way to go. Magazines are cheap enough under subscription that even if you wouldn’t buy half of them you still come out on top! And t.v. shows from itunes can be more expensive than cable! For instance, if I have 5 shows that I watch regularly my itunes bill could be 40-50$ whereas basic cable will cost me 30. I think the lesson here isn’t canceling subscriptions but checking every couple months to ensure those subscriptions are really saving both time and money! My magazine subscriptions – even though they are relatively inexpensive – may need to go. Most of the time I just end up with a stack of magazines that I rarely read cover to cover. I could probably would buy 1/4 of the magazines I buy if i went a la carte! Buying magazines? Who buys magazines? That’s what the library is for. Why buy it when you can get it free? We’ve been analyzing our memberships lately, and man, the cell phone has got to go. Trouble is, it ain’t mine. 😉 Cable could go altogether too… but the gym membership stays. I’m there at least four days a week. More sometimes. And always for classes, which I can’t do on my own. But it’s good to be aware of what can go and what is essential. I’m constantly trying to trim down and this article just reminded me to do it again. I always end up agonizing though. The only subscriptions we have that are excessive are cell phones and cable (internet is not excessive but we do have low-bandwidth option with TWC). We are about to move so its again perfect to recheck everything. The cell phones will become pay by the minute (really trying to research who has the best deals) and we’ll probably try MagicJack since its so cheap for our house line. But what to do with cable?? My husband loves sports but IMO its not worth the money we pay. Most of the shows we like, I would love to purchase online. I wish there was a cable service that let us get a sports package and thats it, nothing else. A number of digital channels we can pick up for free anyway. At least we get TWC to give us their promotional rates every cycle. Great post, great advice, as always! I think I’ll try this, as my cable and cell phone bills are higher than I want them to be (wish I could do this with my PG&E bill!). The other thing that at least the commenter before me hinted at, is trying to bargain with those subscription services…like the cable bill. Recently, kind of perturbed with my Comcast bill (cable TV and internet), I called them and told them I was going to switch to DirecTV and AT&T for DSL (I really wasn’t; I hate AT&T and don’t want the hassle of switching). I asked if there was anything they could offer me that was close to what I could get from DirecTV and AT&T. As soon as you say ‘cancel’ they put you through to a ‘retention agent’ whose sole responsibility is to keep you as a customer. Short story: I didn’t get my cable TV bill lowered, but I did get my internet lowered by…half. Magazine subscriptions are far better than buying issue at a time. I pay $10 a year for MONEY magazine. $10 a year for FORTUNE….on and on. One issue of either one of those is half the yearly subscription price. Magazine subscriptions work for me. Netflix…..the Instant Viewing is worth the price. They have added so many movies to that category and TONS of documentaries. That’s before I get three movies out at a time. The subscription model works for me there. I can’t get my favorite shows from iTunes – or anywhere else. I can’t miss Keith Olbermann and Hardball on MSNBC. I love to see Investigation Discovery’s “48 hours” “Dateline” and other true-crime shows. Cable subscription works for me. The bottom line: one size never fits all. I do this with bus tickets. I could buy a pass for $76, but I only need to ride the bus 32 times a week. That’s 2.38 per ride. A ticket only costs 2.05, and I can buy them in groups of ten. Not only that, but how much do people spend on HD cable, just for sports….40-50 a month easy. I went without cable for almost 8 months before I caved, and it was 99% due to not being able to watch any sports. Everything’s on cable now. A La Carte cable would kill profits. I agree that if you’re honest with yourself, there is no “best practice” applicable to everyone. For as much as I go to the gym, ironically I see the same people for months on end. Going 4+ days a week I honestly think that about 10% of the members are using it 90% of the time. I can’t imagine the profits of locking someone into a year contract only to have them average 3-4 times a month. sorry. maybe there’s some merit but the cable tv thing makes no sense. There are tons of things you can’t buy without subscribing to a cable or satellite provider. Live sports rights aren’t all sold to itunes and many networks don’t have an online distribution platform at all let alone one that delivers 1080p HD picture. What about live news coverage. Where do i go if sometime tonight if find out someone’s on Leno and i want to see Leno all of a sudden? In HD? What if there is someone like a presidential candidate who needs to speak right now on tv. Where do I go buy that? Like i want to see Hilary bow out of the race. Where do i go buy that to see it live? Should i call Hilary and ask so i know when she’s gonna do it? Just not feasible! Second, even if they do how do you stream real time to a 50 inch television. Third, many would argue the hassle of this method of going to 50 different random places, everyday to get tv, makes the price worth the expense. Hell sometimes it’s cheaper to take a bus but most people don’t because it’s a hassle. I hate comcast and hate the cost of my cable bill but i’m not some nerd watch lost or Idol that has a subscription to itunes. maybe it works for magazines or netflix if you’re one of the morons that pays for movies but doesn’t watch them. But the rest of it is utterly simplistic and ignores the fact that many people spontaneously decide to watch something. @Jim: Green tea is good for you. I also doubt you were really LOLing. So there. I really like the idea of cutting cable, and just buying shows individually. I personally did not have cable in my house before I moved out. I found that I watched much LESS TV when there was no cable, and now that I do have cable, I spend too much time on the couch, even if I am just surfing channels. Note: Most networks allow you to stream the last few current episodes for free. Not as “cool” as TV, but free is cool… right? Here’s another idea on cable … track how much time you watch the non-cable channels that you can get with a plain antenna. For most, I bet you’ll be suprised at how much you’re paying for something you could get for free! My husband and I hung on to our online weight watchers subscription, because we used it to look up recipes. We don’t even weigh in any more, but I wanted to make the dieting process “painless”. Even if we use one new recipe a week, that makes the cost over $4 per recipe. We’ve been doing this for eight months, until today. Should have just bought a cookbook. 1) The reason I use Netflix is because there’s no other way I know of of getting the WIDE variety of films I want to see. I watch everthing from 40’s Cary Grant classics to Bollywood musicals to Hong Kong action flicks to serious dramas to documentaries to old TV series that are finally on DVD. No way a local rental shop covers that kind of inventory for me. So, granted, Netflix is a luxury item. 2) For those of us who care about magazines, supporting a magazine through subscriptions is the way to go. When you subscribe, a MUCH larger portion of that price actually goes to the magazine. When you purchase a magazine over the counter, most of the cost goes to all the middlemen/distribution. Something to keep in mind. Amazon Prime? Yeah, you got me there – even as many books as we buy, we are definitely urged on by the thinking that, oh, well, the shipping is already free, so why not? Not smart at all. Thank you for your article! Keep ’em coming! i’m pretty good at wrangling free magazine subscriptions and then canceling them as soon as the billing kicks in. and like chris, we might as well use our american miles to get our magazine subscriptions now anyway since who’s going to fly them now that they’ve instituted that ridiculous $15 to check your FIRST bag fee!?? (oh, that’s another blog, sorry!) i switched to a new health insurance that included free membership at the Y so i cancelled my gym membership. i never joined netflix to begin with cause i get my movies free at blockbuster with my mypoints points (that was a mouthful!) never take your cell phone provider’s word that you’re already paying the lowest rate possible…i kept pressing mine and finally cut my wireless bill by another $20 a month and only “lost” 100 minutes that i wasn’t using anyway! there’s ALWAYS another rate available…betcha! they just don’t want to have to tell you about it! and we changed to a new cable/internet/phone provider that was offering $99 a month guaranteed for ONE YEAR! our previous company was charging us close to $150 a month, so that’s a savings right there of $600 for the year! once a year has gone by, of course, the new one will raise their rates, too… but by then, there will be someone else with a deal to jump on! In general, a good idea. However, Netflix is like your choice of crack cocaine, wine, crystal meth, heroin, weed, or fine cuban cigars daily for a few bucks a month. There’s just no way to compete with that. I agree with one of the above comments; there is a great deal of content that we watch on cable that, in all honesty, can be viewed over the air for free. In addition, broadcast HD signals often look far superior to their counterparts on cable or satellite systems. Another interesting thing, if Verizon internet access is available to you in your area, they have a deal with ESPN and a website called ESPN360.com that streams live games that air on any ESPN station or one of ESPN’s pay game-plan services. The variety available through this service is impressive, and the quality is actually quite good. It is available through other ISPs as well, but Verizon is the major national company that carries it. For example, I have access to the site through my university’s internet service. There is no additional charge for using the website. Over the last few years, I’ve saved a respectable deal of money by getting magazine subscriptions off mycokerewards.com and other such sites. I collect the caps from around the cafeteria and then redeem them for yearly subscriptions! Good post, but I share some of the sentiments above. I don’t use Netflix, but especially now, I think Netflix is a great deal. Ideally, I guess it should be used certainly in place of other DVD renting but also in place of going to the theater. I am sure you are right that most people with a gym membership don’t take advantage of it, but going ala carte is not the answer there. The key is to either eliminate the membership because you don’t use it, or (even better) start taking advantage of it. Magazine subscriptions can regularly be had for $10 for 12 issues (check out amazon). Someone above mentioned just going to the library to read magazines, which is great for them, but I really like to take magazines with me when I travel and $10 per year is much more cost effective than $4-5 per pop. I’m guessing most people do this by now, but I see little point for paying for home phone service if you already pay for cell service. As for cable, I’m a big fan of what I consider “basic cable.” I can’t imagine going through the 2008 election season without cable news and CSPAN. However, instead of paying for expensive HD service on top of basic cable, I would suggest just getting it over the air. And I second negotiating for lower rates on everything. Does anyone here have an Audible subscription? I signed up a couple months back with their introductory rate at $7.99/mo. for two months, but from the third month it became the normal rate of $15/mo. I live abroad and it is difficult to get English books around here. I thought it was a great deal to get an $8 audiobook each month, but now I’m wondering if their regular rate is even worth it. Ramit’s post has nearly convinced me to drop this subscription, but the only thing keeping me on is the fact that I have few other options to get books in English. I’ve thought that for years about health clubs, and how much it costs per visit if you average it out. We bought a hottub when we built our house and I didn’t want it because it’s very expensive and I thought we’d never use it. Sure enough, in three years we’ve used it exactly three times. I tease my husband when he uses it that it was a thousand dollar bath he just took. Great idea to review automated expenses the same way you should periodically review automated revenue (your job). Still, the same way you may choose to keep on working at a job you love that may pay a few dollars less than another one you feel you’d like less, there will be times when we each can profit by staying with a subscription. Being honest with yourself is the key takeaway with most spending decisions. Making these decisions repeatedly (a la carte) rather than all at one time (subscription) means you have more opportunities to choose “no.” But there will always be those of us who go to the gym frequent enough for there to be no debate that the membership is worth it. Helpful reminder to look at those “under the radar” expenses we get used to paying month after month without giving them a second thought. Thanks! I will be canceling my Audible account–love it, but have fallen way behind in listening to the books, besides, our good ol’ libraries have lots of books on CD, FREE. iTunes has lots of FREE intellectually stimulating and entertaining material as well. Storage fees! Another monthly subscription-like expense I didn’t see mentioned that might be helpful for others to reconsider. We’re spending $100/month storing “important”, “meaningful”, “maybe we will need it some day” things. Time to go through all that stuff and decide if some of it can be donated, sold, downsize the storage space, or buy one of those outdoor storage units for the backyard, or maybe, heaven forbid, organize the garage and move it there. Great advice. We share similar ideas on our blog of how to penny pinch and make sure every dollar we make is working hard for us. I definitely will be coming back and checking up on your posts more often. I’ll be a contrarian and actually recommend that you DO buy magazines via subscription. You’d be amazed at the prices you can get via reputable dealers on eBay. I got a 3 year subscription to “Vegetarian Times” for $4.99. A 3 year subscription to “Mac Addict” with the CD for $5.99. Always check feedback, as there are some fly by nights on there also. I am testing this out with a pay-as-you-go cell phone plan. I pay $42/month for 450 minutes with AT&T but, on average I use less than 300 minutes/month. Most months are closer to 200. I have over 1900 rollover minutes in the past year. I end up paying about $0.15/minute plus $0.10/text. Net10 costs me $0.10/minute and $0.5/text I just have to use at least 300 minutes ($30) every two months to not waste any minutes. Good post. It’s a great reminder to look at all the little reoccuring expenses for 5-15 bucks a month. Those quickly add up to 100 a month in no time. wow. i feel like someone just punched me in the face. i won’t be reading yr blog any longer. hate speech is so last century. All of the publications I read (past and present tense) became available at work (online), which meant “for free”, but as there is no free lunch, i,e the psychological cost of getting in early or leaving late, I was eventually forced to be highly efficient and exacting with my time while on the job, which ultimately made me far more productive and, as I see it, went indirectly to furthering my career. While the line-up of “reading at work is good for your career” may not be intuitive, in my case it was like most things: try it until you like it. you gotta list more companies, like.. 100% American you know friendly places, not the ones you invested in. Interesting approach. I think creating a ‘tabula rasa’ of one’s discretionary expenses every 2 or 3 years and then working back into those of most value to you is an active and potentially money-saving approach. This would work well for regular subscriptions and any other regular draws from one’s credit card. We all get stuck in a rut and need to be active in extricating ourselves. Check out my recent posts at Assetology..com, ‘Philosophy and Science of Wealth’. I agree. Definately need to review all subscriptions, at least on a yearly basis. This is a very informative article. I don’t know what I would do without my gym membership (or internet access). I do agree, though. I pay for a full line up of channels on cable and I watch tv maybe an hour/day during the week and maybe 3 hours/day during the weekend. Most of the time it is just the news that I can get on public television. I have been trying to figure out my expenses lately. I hope I can bring it down more. I looked into doing this a few months ago but opted against. After reading this post I set down and came up with some numbers on the cable subscription vs. iTunes/Amazon Unbox. I came up with it being quite a bit cheaper to download and buy. So I called the cable company and went from the $55/month subscription to the $10/month basic channels. (If I had canceled TV altogether my internet would have gone up $15/month so it was cheaper to get the $10 basic). Today the cable guy calls me and from a bad storm we had in VA the week before they were out of the traps or filters and couldn’t actually take away the channels for the $55 package. The cable guy said it would be a month or so before they would be able to downgrade me but they were going to go ahead and charge me for the $10 basic! This is the first story I have read on your website ever since I subscribed via RSS yesterday. I must say that this is truly unique advice. We sometimes get into a habit of things and don’t think outside of the box. If you don’t mind me sharing this with the visitors at my website, please let me know. A very informative article about how we can save by cutting down on the unnecessary things in life. Well written. I recently downgraded my Blockbuster subscription so that I don’t have the in-store swapping option. I knew that didn’t utilize that option enough to pay for it when they increased their prices and I also know that I don’t want to devote all that time to watching a ton of movies. My gym membership was a flat $150 or so for the year. I honestly don’t utilize it as much as I would like to. I am not a morning person so I don’t go before work and I usually am not motivated to be there after work because I want to spend that time with my dog or with family. I usually get my workouts from doing DVD’s at home or walking the dog. That is one expense I won’t be doing next year. But for around $12.50 a month, I have wasted much more than that on more frivolous ventures. As far as magazines go, I head to the library. If it isn’t at the library or I want a specific issue, I head to my local half-price used bookstore. There used to be an awesome website that had a ton of subscriptions for only $5 but those good ol’ days are gone! I don’t pay for the Dish Network that is in the house yet the person who does watches it even less than myself and I don’t believe I watch that much TV. Since I bought a Mac and started using iTunes, I usually watch the free shows that come out on Tuesdays. It has been years since I committed myself to watching any series and I honestly don’t think there are many worth committing to but that’s just me. I would rather spend my time learning something or surfing the net. I could almost kick myself for renewing my cell phone contract because I considered just getting a pay as I go cellphone. I am glad that I didn’t because when a family member who was out of state got sick I used a TON of rollover minutes. My family has had several sick folks lately and for that, the cellphone contract has been more friendly on my wallet. I have been doing some of the A La Carte method without even knowing it! This is a new dent in my saving mentality, but wouldn’t work for me. I bought 3 subscriptions a few years ago thru a friend working at the media conglomerate. Thus I got a 40-60% discount and bought subscriptions for the next 3 years for magazines that impact my life. My gym membership is also thru a corporate discount, and I’m physically active (3-4 day/gym + 2-3 days at other studios which are paid a la carte). I did downgrade my text messaging with TMobile from $10 for 1000 msgs to $5 for 400 (they are sneaky and do not offer a median, which we all know is the norm). I called Comcast and got $10 off my bill per month going forward. I really want Netflix to watch foreign films but cannot justify it since I have cable. I’d love a sub to The Economist but content myself with my online bookmar & to take leftovers from the gym. Well, ur tips seem to be uniquely valuable indeed ! I remember having read about the art of slicing (focussing on utmost important things) in the bestseller “Blink” & its so very true !! As far as Magazine subscriptions are concerned, I feel that one can utilize services our the omnipresent Public Libraries – besides reading books for free (or low cost) , one can as well make many friends too. The problem I have with this is that there are many things I would enjoy as part of a subscription but that I wouldn’t feel justified in paying for individually. I used to not have a cable subscription, instead I’d order the individual shows and movies I wanted to see. I probably spent only half as much on TV entertainment as I would have if I had a subscription. Then I decided to get a subscription. Now, I watch perhaps 3 to 4 times as much TV. The difference is that since the cost of an individual show disappears into the total subscription, I can feel more free to experiment. I can watch the first 10 minutes of an hour long show I wasn’t previously interested in and see if it catches me. I can watch repeats of my favorite shows that I’ve already seen before, and so would never consider purchasing individually. If I were to individually pay for all the shows I watch or try out, it would exceed the cost of the subscription. But dropping the subscription would cause me to view far fewer shows. There’s no question to me that not having a subscription would be cheaper, but there would also be a lot less enjoyment derived from the activity. The subscription gives higher enjoyment per dollar. Depending on your lifestyle and occupation, Internet access may be far more than “discretionary” spending. How would you do pay as you go internet at home? Thanks for this post. For many people being stuck on subscriptions is indeed an expense worth getting rid of. However, instead of getting rid of all subscriptions, it might be worth everyone doing exactly what you did with your thoughts on the internet. Go through each subscription, and do a calculation. 1.How often do you currently use the service? 2.How much would you spend if you paid per use instead of subscription? 3. How much of what you currently use would you cut back if you had to pay per use? 4. What makes the most financial sense based on those calculations? Some people might find that their cell phone saves them money by subscription, others might find that they should get rid of it. While I feel I get my money’s worth from my netflix subscription (particularly for watching television shows that the local video store doesn’t stock, and which are expensive to buy) this post did make me re-evaluate some of my other subscription services. I’m looking at you, eMusic. have you ever been to Europe or read about how subscriptions are handled there? In Europe almost everything – from phone contracts to gas bills – is subscription based. No one receives bills and pays them with cheques. And it works just fine. Thanks for the mention, Ramit. Great post. It is to build up lots of little expenses. The phone bill, cell phone, and tv subscriptions are all out of wack. Great ideas. Even if you don’t ultimately cancel any subscriptions, its important to look at your bills and see what you are being charged for and evaluate whether it is actually a savings for you. Less than a year ago I noticed my cable internet bill had charges for equipment I wasn’t renting, and had never rented. They had been charging me an extra $10 a month for almost three years! Had I been more attentive, I would have saved myself the time and hassle of fighting with the company to get my money back. Interesting…I know I overpay for my Netflix subscription, but I keep it because I can get things from Netflix that I can’t rent anywhere else (and lots of them). Sure, I could buy many of the titles I rent if I didn’t spend the money on the subscription–but most of the stuff on my list I just want to watch, not own. Most of which isn’t available on iTunes, either. It’s worth the money to me. 1. My family uses netflix constantly, but they rent movies that they would NEVER otherwise spend the money (or time) to watch… (read:Rambo). I’ve opted for the machines where you spend $1.99 the first night, then .99 cents each night after. I always watch them within the first night, so it’s reasonable. 2. As for suggesting buying t.v. shows, this is something that can be avoided. MTV.com and ABC.com both air their most popular shows FREE of charge for a few weeks after airing. I have gone without cable for 3 years now…AND I watch the shows with 3-4 30 second commercials (total) at my own convenience. 3. I think prior to using this a la carte method people should keep a journal. As you were a psych major you maybe know R.A.T. theory—the first step toward change is getting people to WANT to change. Well, I was one of those gym membership people. I never found the time, and wasted about $1,200 on a membership. Had I recorded gym usage of a free one-month membership, I would have never signed the contract. That $1,200 in vegetables would have done more for my body and peace of mind. 4. In order for a la carte to work, one must take into consideration discounts alloted for introductory offers. I.e. —magazine subscriptions= 80% off of in-store price. If I buy two magazines within a year (and I do buy one whenever I fly), I might as well have had a subscription. 5. Instead of paying for internet on contract, I buy off my neighbor’s with their wireless. I pay $10.00 a month to them. We all win. I’ve started only buying groceries I will eat or cook in the next 24 hours. There is a grocery store on my way home from work that, thankfully, is not too busy at 10 after 5. I have always bought tons of food that goes to waste. I am eating fresher now, produce is way cheaper than anything that comes out of a box, and very little is getting thrown out. I used to spend a couple hundred dollars every week or two at the grocery store, and now I spend less than $100 at $10-15 per day! CableTechTalk » Blog Archive » Does A La Carte Always Make Sense? I agree. We often overspend on subscriptions just because of the convenience of knowing the money has gone out of out account at the start of the month (then we don’t have to worry about finding the money to do something when things get tight at the end of the month). In our experience (in the UK), if you try to cancel a membership …say to telecommunications providers….they will often offer an enticing deal to stay which saves money anyway. However, I wondered if a less disruptive way that cancelling subscriptions was to keep a log of service usage over a month, total the amount that would have been spent on payas you go , then make a decision. I swim every morning 30 days a month at the YMCA. I use Amazon prime to send gifts to my two adult children and to buy many things in addition to books. So, nope. Not canceling. However, I’m shifting to basic cable and I’m pursuing an “interest reduction” plan for my mortgage with my bank. I got a senior citizen plan for my cell phone and save $7 per month=$33. I’m replacing light bulbs with daylight flourescent. Fired the maid. I hate doing housework but if I think of housework as exercise, then OK, I’m exercising more. I’m buying less and more frequently to not waste food. I love the tip on setting up multiple savings accounts that are named for goals. I will haunt the airline websites looking for cheap tickets. Hi I’m new here. I’m not certain if this is the appropriate place to post this, but I’m wondering if anyone has tested Athletic Greens for their green drink? I’m seeing that most either taste gross or cause my stomach to revolt.